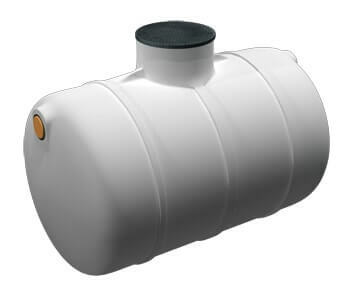 Horizontal placed TH underground plastic tanks are 100% water resistant tank manufactured by the rotomoulding technology. Eliminating the possibility of groundwater occurence the tank is then placed on the compacted sub-base 25 cm thick including the overlapping footprint of the tank by 20 cm. In 30 cm layers 4/8 gravel is used for backfilling the tank and make up the sub-base. Inspection holes in 600 mm diameter are created for the inspection and depletion.The tanks include an integral extension.The inlet pipeline depth is 500 mm under the surface level used with the extension. Additional extensions are available for the deeper inlet. Consulting our trained staff for additional extension is recommended. 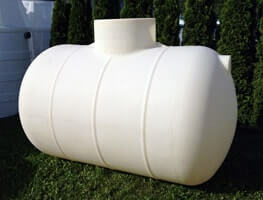 Horizontal placed TH underground plastic tanks are designed with a pre-arranged inlet and outlet. The tanks are assembled on the compacted sub-base without using concrete foundation slab. Horizontal placed underground plastic tanks includes a lockable "standard" cover - green. Available covers are UV stabilized and walkable.